Mick Schumacher says a place on the touring circus of Formula 1 in 2019 will aid his development as he seeks a long-term future on the F1 grid. The teenage son of seven-time world champion Michael Schumacher will step up to Formula 2 next year, having won European Formula 3 in 2018. F3 ran in support to DTM and WEC in 2018, but Schumacher will mix it in the paddock with the likes of Lewis Hamilton and Sebastian Vettel on a regular basis next year. And the 19-year-old believes the experience can only benefit him as he looks to follow the footsteps of his iconic father. "I'm definitely looking forward to it," Schumacher said. "It's now getting close to the dream, getting close to what I want to achieve. "To be close and see how they work is something very special because it's not what we get in F3. Obviously we can only see on the TV, we don't see what is happening behind the scenes and stuff. "Now with F2 I'll be close and up front, seeing how they work and hopefully also using some of that for my personal development." 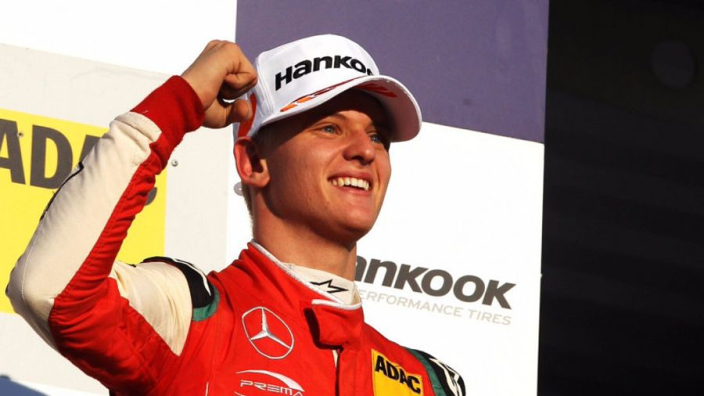 Schumacher was involved in F2's post-season test in Abu Dhabi, running second-fastest on the first of three days of action in Yas Marina with Prema. He added: "The test went well. We did a lot of long runs and a lot of performance runs as well, so I got to know the car, got to know the tyres as well which is always a bit different to the F3 car. "The tyres are most difficult to understand. You have to be able to get the tyres in the right window in order to be quick, and to get that right every time is difficult."